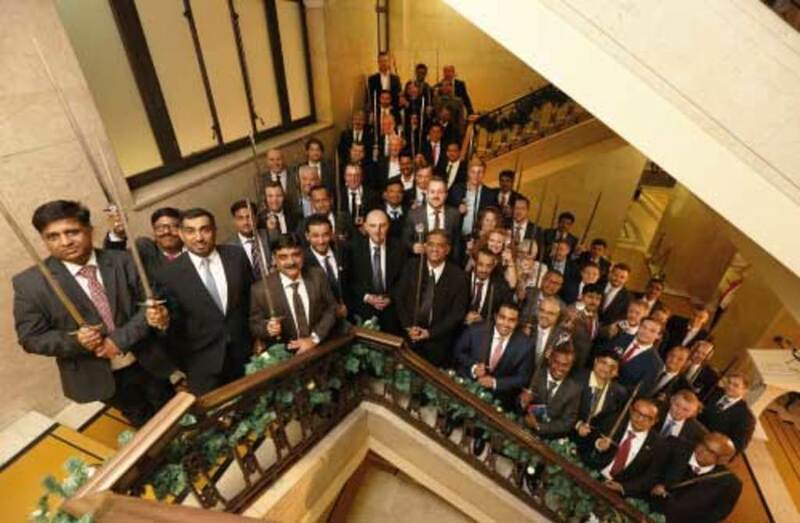 THE BRITISH Safety Council presented the prestigious Sword of Honour and Globe of Honour Awards for the exemplary management of health, safety and environmental risks to businesses from around the world at an awards ceremony, held on 30 November at Banking Hall in the City of London. Opening the awards ceremony, chief executive of the British Safety Council Mike Robinson said, “The Sword of Honour and Globe of Honour awards recognise and reward the organisations that have reached the pinnacle of health and safety, or environmental management, or both in the case of a very small number of companies. Chairman of the British Safety Council Lawrence Waterman said, “Today’s ceremony in the iconic Banking Hall at the heart of the City of London is a perfect opportunity to celebrate the success of the Sword and Globe award winners who have set an example of excellence in the management of health, safety and environmental risk worldwide, further strengthening the case for good health and safety at work.